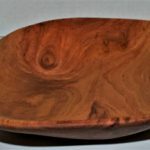 I have been a woodworker for decades, and like most craftsmen who work in this medium, I never tire of the process of discovering and revealing the grain pattern of the wood. Each piece a one of a kind, unique as a snowflake. 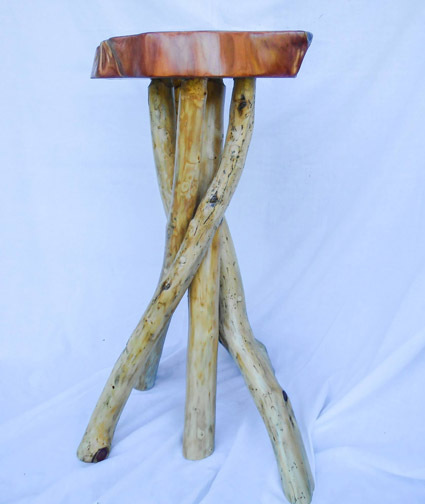 What distinguishes my work from most other wood workers, however, is that I am equally interested in the endless variety of forms and variations that are made by trunks and limbs. 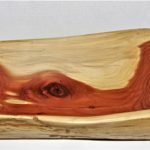 This is what led me to become a maker of log furniture and décor. A conventional furniture maker looks for the straightest piece of wood. The log furniture maker looks for the one with the most personality. Even though my style of woodworking would be considered folksy and rustic, I still make sure to sand and finish every piece I do in a way that makes the most of the natural character of the wood. I first began my experiments with log art as a result of moving to a rural area about the time that a large timber cut was taking place on the property. I was shocked by the incredible waste and devastation. I spent days exploring what was left behind and began to look for ways to use it (other than for firewood). 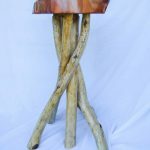 I began to experiment with making split log benches, milking stools, walking canes, log candle holders etc. 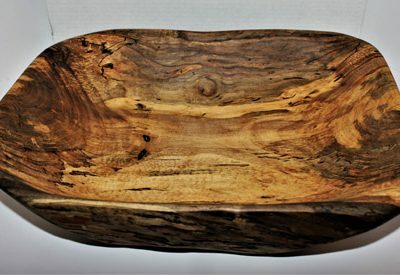 As time passed I became more interested in bowl making and have increasingly spent more time on bowls. Consistent with my style I have made a point of searching for pieces of wood that have interesting live edges (as well as grain patterns) which I try to preserve and use in the formation of the finished piece. After having taught English at a University for the last seven years I am enjoying my return to full time woodworking immensely. I am looking forward to exhibiting my recent and future creations at many art festivals in the coming year.